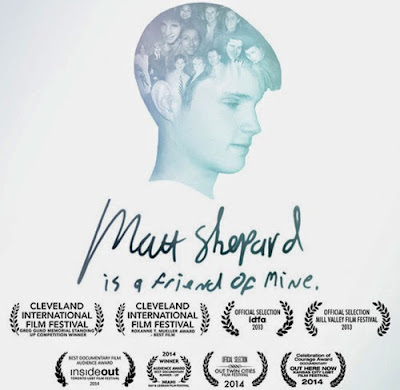 A review by another Matt, Matt Zoller Seitz, convinced me to watch Matt Shepard Is a Friend of Mine, and I'm glad I did. I wasn't going to, but these sentences got me curious: "It is wrenching but never exploitive. It is impressively skeptical of the same mission that it takes on its shoulders: to make something positive from a senseless crime without diminishing its senselessness." What kept me from the film had been a fear of it being maudlin or superficial. I know the Shepard case well, I've seen The Laramie Project a couple of times, I've heard Judy Shepard speak about her son's murder. I didn't think more could, or even should, be made of it. The film proved me wrong. 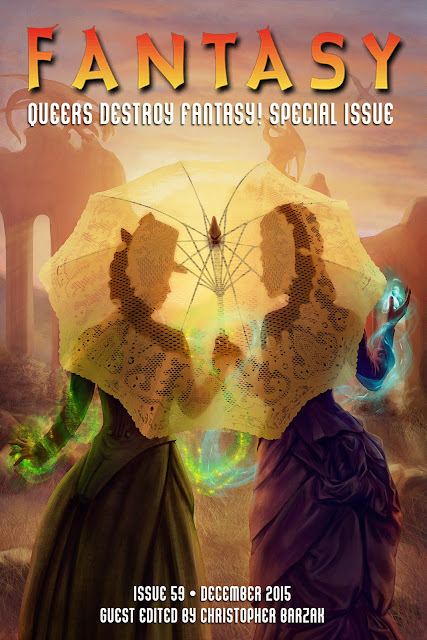 I was honored to be the nonfiction editor for a special issue of Fantasy magazine, part of the ever-growing Destroy series from Lightspeed, Nightmare, and Fantasy — this time, QUEERS DESTROY FANTASY! The editor-in-fabulousness/fiction editor was Christopher Barzak, the reprints editor was Liz Gorinsky, and the art editor was Henry Lien. Throughout this month, some pieces will be put online. So far, Austin Bunn's magnificent story "Ledge" is now available, as are our various editorial statements. More will be released later, but most of the pieces I commissioned are only available by purchasing the ebook [also available via Weightless] or paperback. There are magnificent pieces by Mary Anne Mohanraj, merritt kopas, Keguro Macharia, Ekaterina Sedia, and Ellen Kushner, and only merritt's "Sleepover Manifesto" will be online.